…30,000 miles to go! 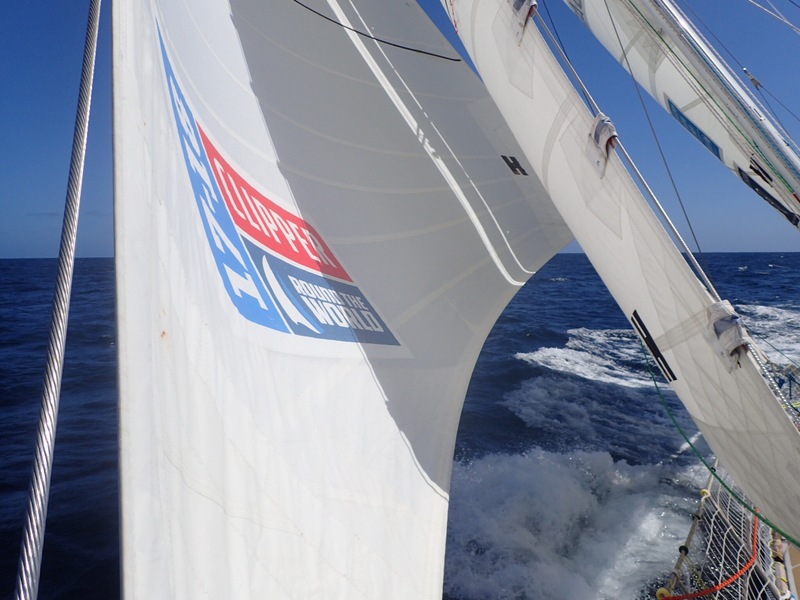 Leg 3 starts tomorrow (Tuesday) morning, roughly 4750 nautical miles to Fremantle (Perth), Western Australia. This takes us through the Roaring Forties of the Southern Ocean, so it should be quite tasty! We should arrive in Australia around 21-25th November, then around 10 days in Fremantle until we leave for Sydney on 2nd December. Cape Town has been amazing, and I even managed a couple days off from boat work (some of my crew managed rather a lot more…) to do some tourist things with Bill Lyons and other crew from my and other boats – cheetahs, wine tasting, wildlife out at Cape Point. And my left wrist even seems a bit better, although I did get a real velcro splint for it that I can use in case of further problems. Follow me, using the links in the menu at the top of this page, and please donate to my Unicef page! Oh yeah, and I went skydiving too! Not many photos from this passage again I’m afraid – way too busy to remember to take a camera on deck. 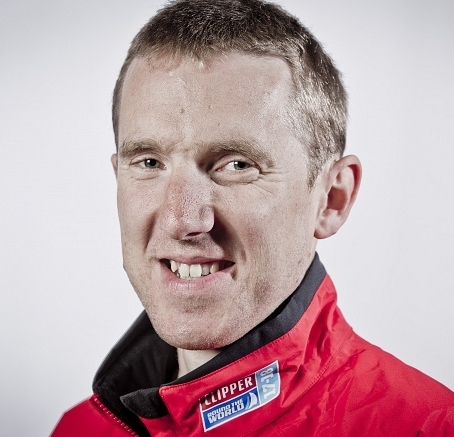 If you follow Clipper Race on Facebook they post regular photos at the end of each leg so you can see what we got up to. 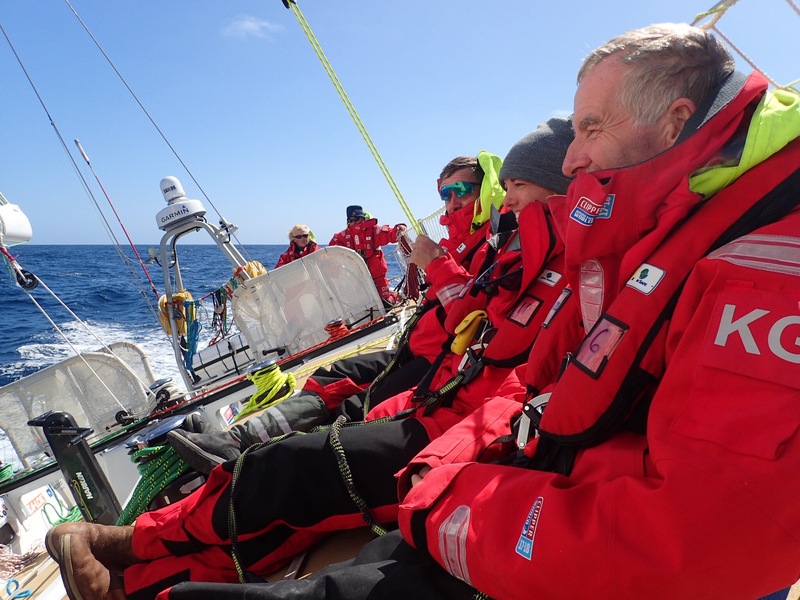 This leg was marred by an awful start in which everything that could go wrong, did – we crossed the starting line a good five minutes into last place. We didn’t let that get us down though, and with GT reminding us again that even a shorter leg like this is a marathon and not a sprint, we came back to take third place eventually! 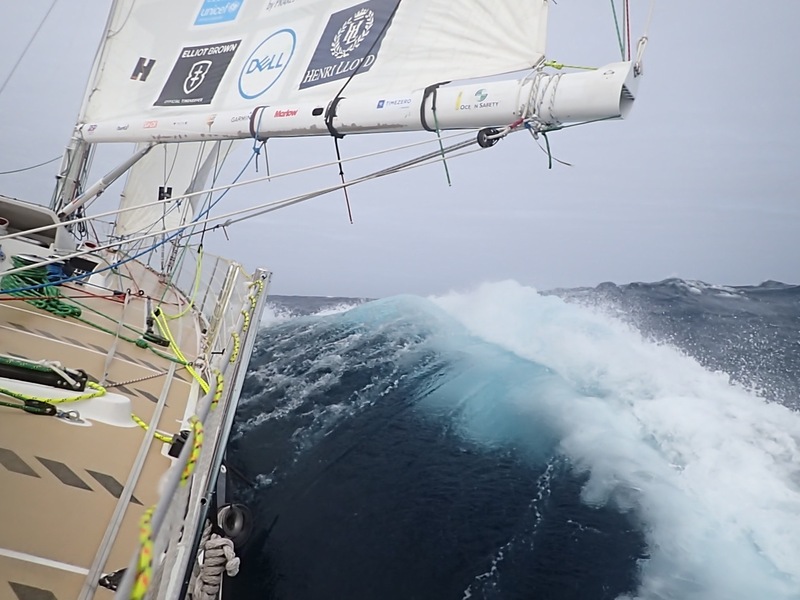 Weather was generally a bit colder and wetter on this leg due to the latitude, probably a theme that will continue into the Southern Ocean on the next leg. Maybe time to pick up some extra warm layers in the outdoor shops and chandlers of Cape Town. I managed to develop some kind of tendonitis in my left wrist a few days into the leg, which at first didn’t cause too much trouble, but which later caused some pain and muscle scrunching. I ended up not being able to drive the boat for the second half of the race, which was very disappointing for me (as it’s by favourite part of sailing) and inconvenient for the rest of the crew who had to take up my slack! It seems to be much better now so hopefully it won’t be an issue on the next race. Currently enjoying some time off from boat maintenance in Cape Town and surrounding areas (including visiting cheetahs! ), we’ll be back racing again on October 31st. 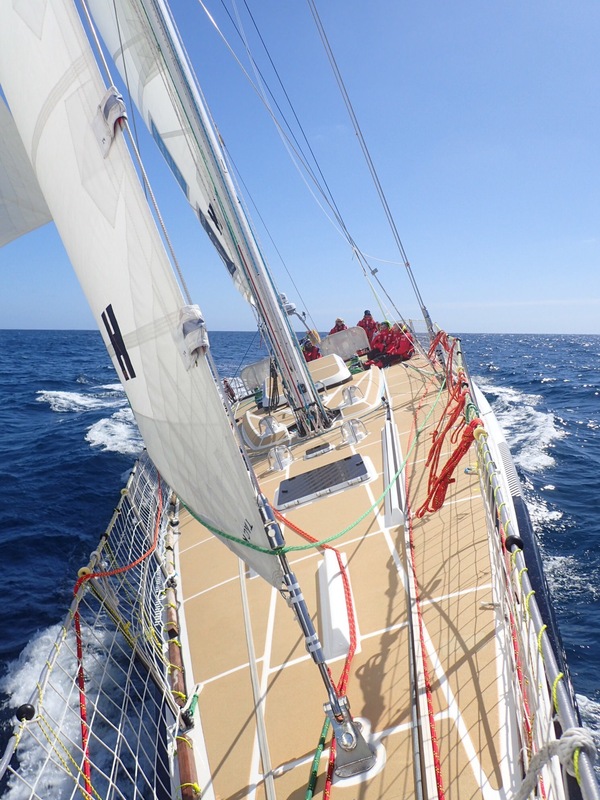 We arrived in Cape Town very early this morning, after a two week crossing from Uruguay, in third place – only a couple of hours behind the leader. Which, considering our boat issues and crew illness issues, is a miracle. This was followed by a 4am hotel check-in, a 4 hour sleep, and a huge 3-course breakfast; probably one of the best I’ve ever had. Anyway, deep clean time today!